When speaking of Jamaican cooking, the term “jerk” comes from the term “jerky,” which comes from the Spanish “Charqui” (char-key). This is meat cooked over a slow wood fire. In modern cooking, "jerk" doesn’t refer to the cooking method, but the fiery spice mix rubbed on the meat before it’s grilled. 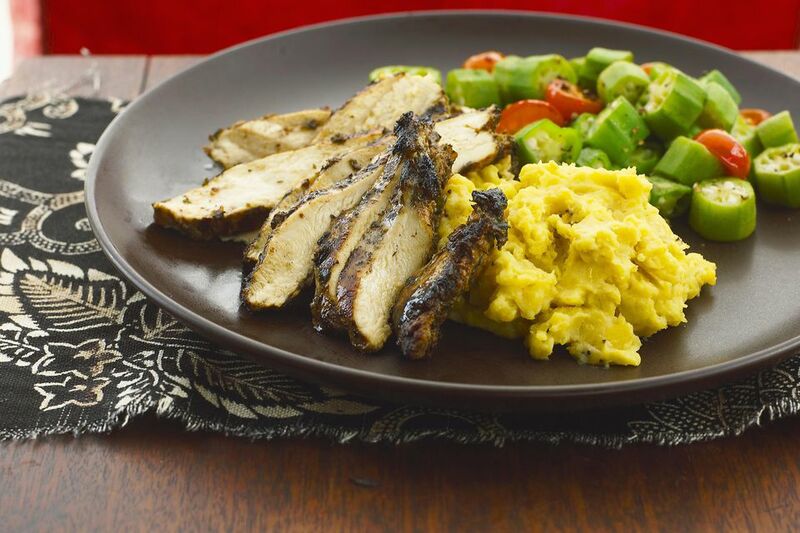 While originally from Jamaica, jerk chicken is a popular recipe among spicy food fans all over America. Back in the day on Caribbean islands, meat was seasoned with peppers and spices and hung over a fire to cook slowly. This process of drying meat is considered by many to be the origin of modern barbecues. The fire served two purposes: It cooked the meat and is kept insects away while smoking the meat. This preserved the meat well and allowed it to be stored for long periods. There isn't just one recipe for jerk seasoning, but there are a few basic ingredients that most chefs agree are crucial to creating the jerk flavor. These include chilies, thyme, cinnamon, ginger, allspice, cloves, garlic, and onions. This combination gives jerk seasoning the hot and savory flavor. If your spice cabinet isn't well-stocked, however, any combination that includes peppers, garlic, onion and at least some of the spices could be considered Jerk. But purists will consider a recipe to be truly jerk if it has the chilies, and either allspice or cloves for a savory flavor. Combine all ingredients (except the chicken) in a food processor, and process until a smooth puree forms. Put the chicken in a large bowl, and pour over the marinade. Mix the chicken pieces around to coat them completely, cover, and marinate at least 6 hours. This part of the process seems lengthy, but it's important to let the spices fully permeate the chicken before cooking, to give it a hearty and robust jerk flavor. Remove chicken from the jerk marinade and grill over charcoal until cooked through (internal temp of 165 F). You may also broil, or roast the chicken in a hot oven (425 F), but this will produce a slightly different flavor.